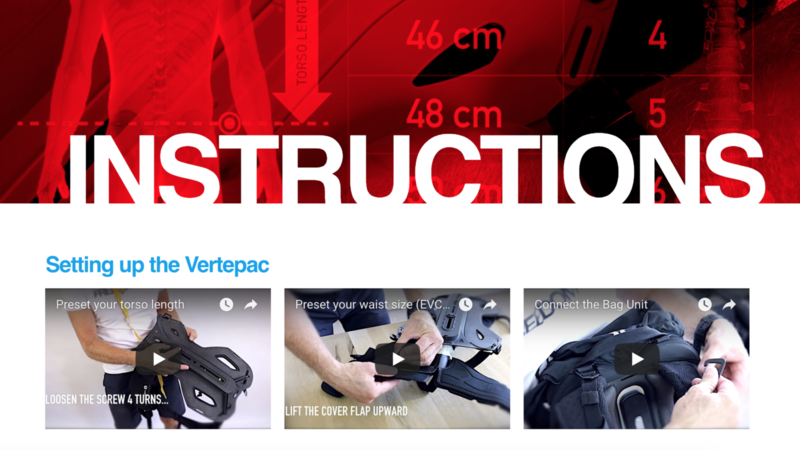 To make sure you set up and use the Vertepac correctly, we have published a series of instructional videos. To make the Vertepac function properly, it needs to be adjusted to your body size precisely. Please read and watch the instructions carefully before using.